We have two weeks (longer if you’re lucky enough to live in sunny California) to smell the roses, soak up the sun, jump into waves, and grill, grill, grill! With peaches at their peak seasonal ripeness, we have easy access to the sweet and fuzzy stone fruit. Entire volumes have been written on the search for the perfect peach. The warm, honeyed flesh of peaches abound this summer. So while it’s perfectly fine to eat them fresh, we decided to grill them. You can use any kind of meat (or none at all) but I like adding thin steak to fill the plate and make this salad a more substantial meal. Grilling can be done ahead of time or you can use yesterdays carne asada. Preheat grill. 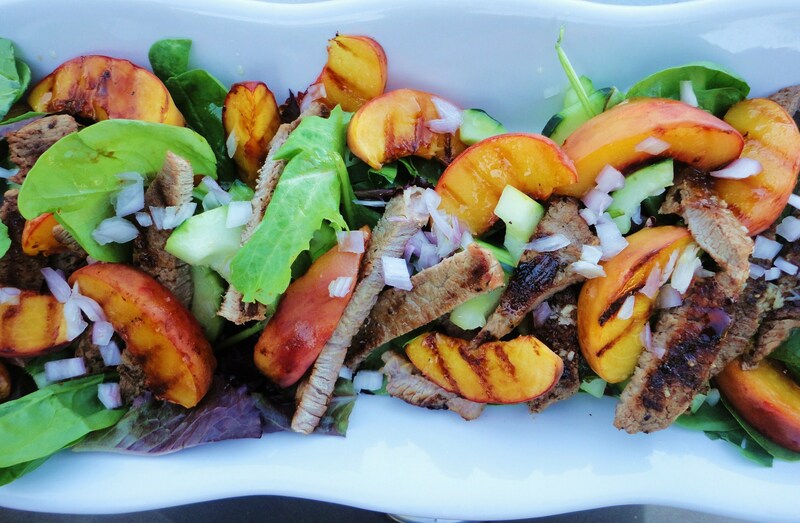 Place each peach slice onto your grill. You are just looking for grill marks, about 1-2 minutes each side. Allow to cool for a few minutes. 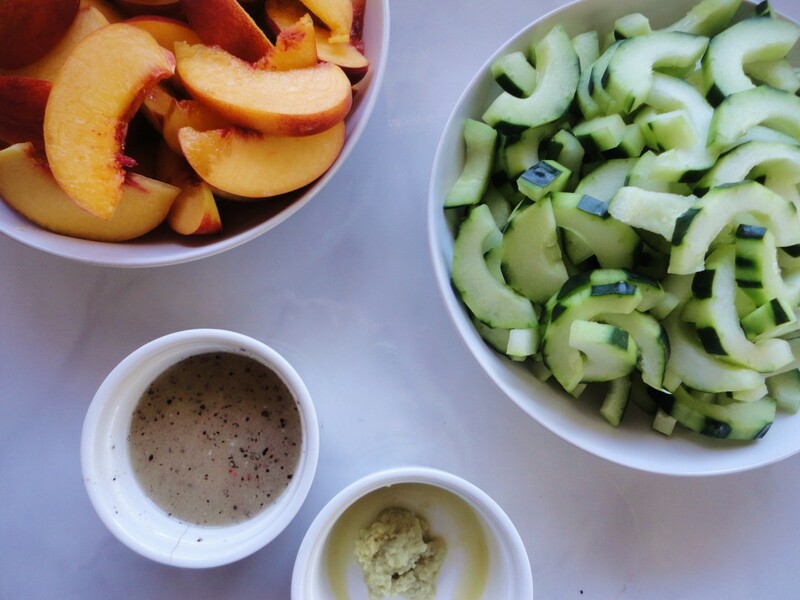 Combine peaches, spinach, cucumbers, and steak in a large salad bowl. In a mixing bowl, combine the lime juice, sugar, salt, pepper, garlic, and ginger. Slowly drizzle in the extra virgin olive oil and whisk to emulsify. Add the shallots. Dress the salad with the dressing just before serving to prevent soggy greens. 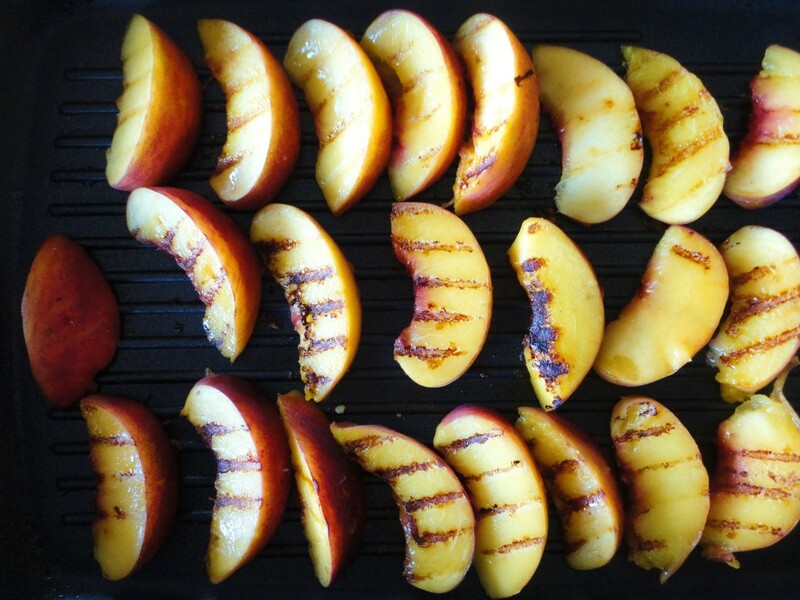 Note: grilling fruit can easily be done indoors with the help of a grill pan. 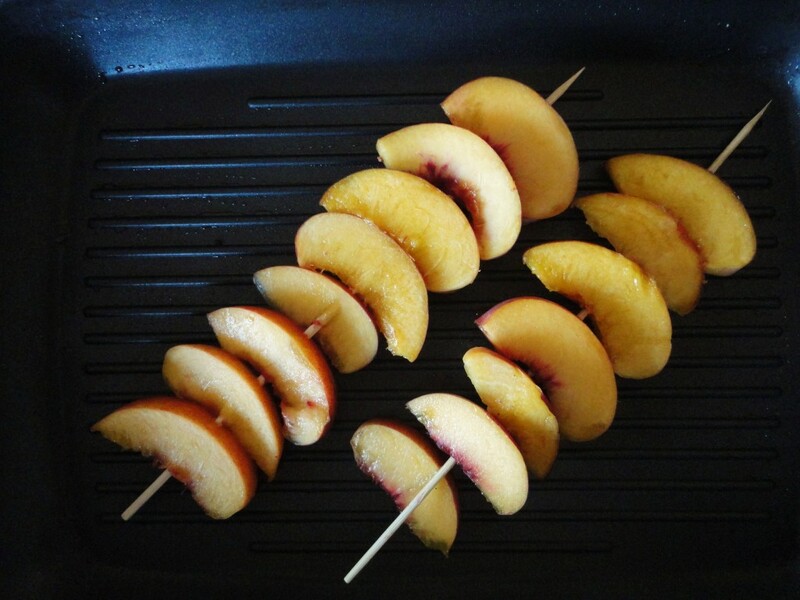 Additionally, grilling large amounts of sliced fruit can be easily handled by using skewers, like shish kabob.